BIRTH PANGS FOR CEBU CITY'S PUBLIC HOSPITAL. 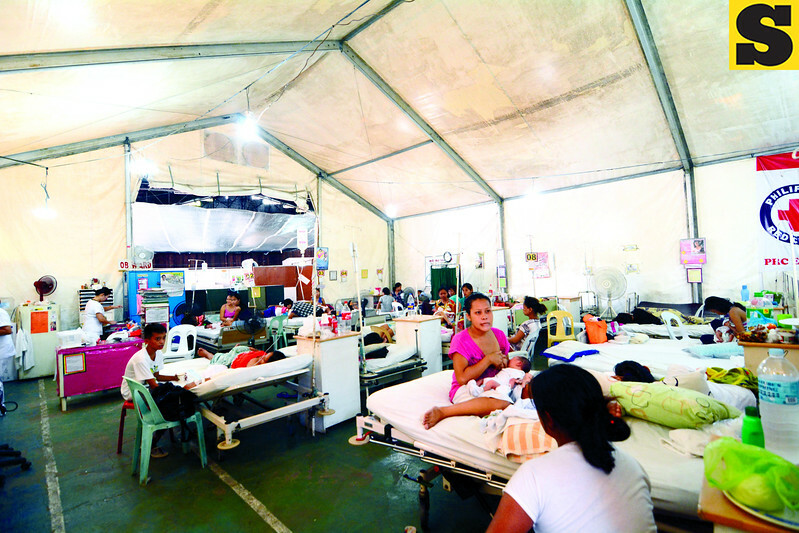 A large tent borrowed from the Philippine Red Cross houses the maternity and pediatrics patients in the temporary facilities of the Cebu City Medical Center (CCMC). The earthquake last Oct. 15, 2013 forced the City to abandon and demolish the old hospital. The situation in its temporary location “is a little better” than when the hospital staff fi rst began working there, but it’s a picture of how much the calamity has tested the public health care system.